Our online fire marshal training is a comprehensive and in-depth fire safety training course programme, that is CPD certified and also approved by RoSPA. This course is conducted via e-learning using video based training and is suitable for many working environments. Our online fire marshal & fire warden training course is an ideal learning platform for workplace nominated fire marshal & wardens, for example doctors, dentists & dental surgeries, schools, hotel reception and office staff, childminders, childcare nurseries or anyone who requires a valid and up to date fire marshal certificate for the workplace and will help you meet your fire marshal training legal requirements. 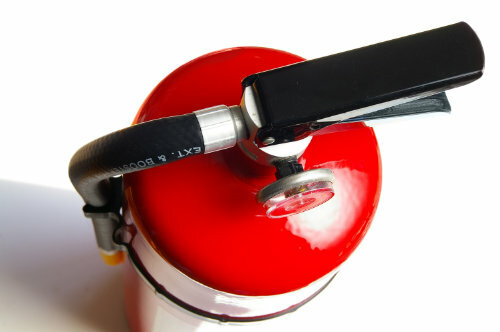 Our course will help you stay compliant with your workplace fire marshal training requirements. Take action now and get trained via e-learning. This online fire marshal training programme for nominated fire wardens within the workplace is easy to understand and complete. This programme is designed to meet and help you to comply with the regulatory reform (Fire Safety) order 2005 and training can be used to run along side your existing workplace fire risk assessment and policies & procedures. Our online training is conducted using a video based e-learning system, which includes a fire warden training video free download on each section and each video can be paused or rewound as you progress through the training programme. Complete this course again when your workplace fire training certification is due for renewal, or if you would like you can use this workplace fire training programme as a refresher session, so that you will always have an in date fire training certificate. This online fire marshal course comes with easy to understand fire marshal video’s and on successful completion of the course you can will be able to print your fire training certification. Register and start now by clicking the “Begin Training” button above, as our online fire warden safety course covers all the required subjects in regulation, risk assessment, prevention, fire safety, evacuation, alarms and equipment. Our e-learning programme is an ideal online fire safety training solution for hotel and office staff, any receptionist, including doctors, dental, hospital, hotel receptionists, workshop foreman and supervisors or anyone who is required to hold valid certification and this course is an ideal platform to be run along side your current workplace certification procedures. This online fire safety training course is an ideal learning platform for office staff, dental & doctors surgeries, hotel receptionists, shops & retail outlets, or anyone, or company who would like to gain current and up to date fire marshal training certification and the course covers the latest fire safety regulations within the workplace and also the roles and duties of employees and their responsibilities to the company workforce. online Fire marshal training, RoSPA approved and CPD certified e-learning course, workplace required programme for fire wardens, we will help you gain a recognised workplace certificate, help you comply with the regulatory reform (Fire Safety) order, fire warden training course via e-learning, video based learning which is ideal for schools, doctors, dental and hotel receptionists, secretaries, hotels, guest house and office staff, schools teachers, care takers, cleaners. We also offer an e-learning fire marshal training for care homes course and an online fire extinguisher training programme and both courses are available with free fire training certification, which can either be downloaded or printed on successful completion of the training. We also offer onsite fire marshal training throughout Essex, Suffolk, Hertfordshire, London, Kent, Norfolk, Surrey for companies & group bookings and training can be fitted in with your working schedule. For additional information regarding our RoSPA approved video based training, CPD certified fire warden online course programme please contact us through our contact us page.